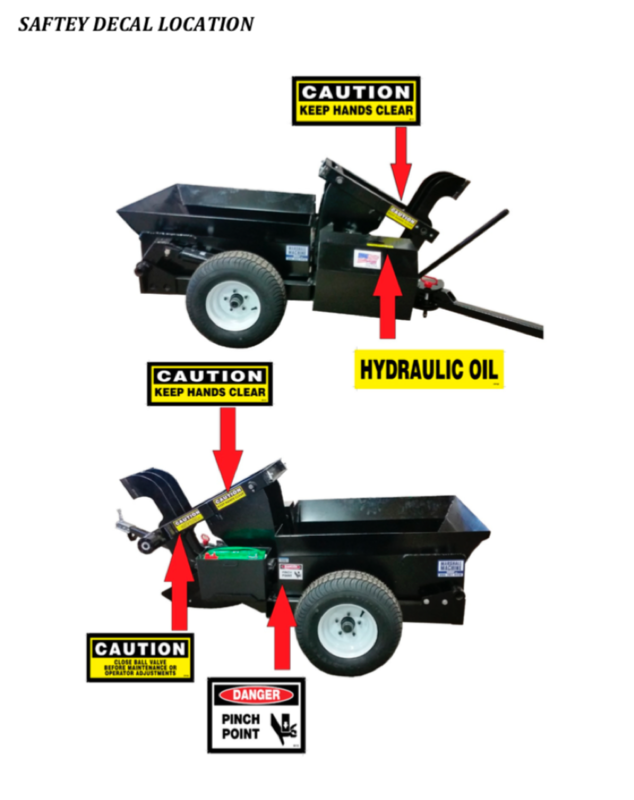 Increase Rock Picking Efficiency by 50%! Keeps the reel from accidentally spinning while doing maintenance. 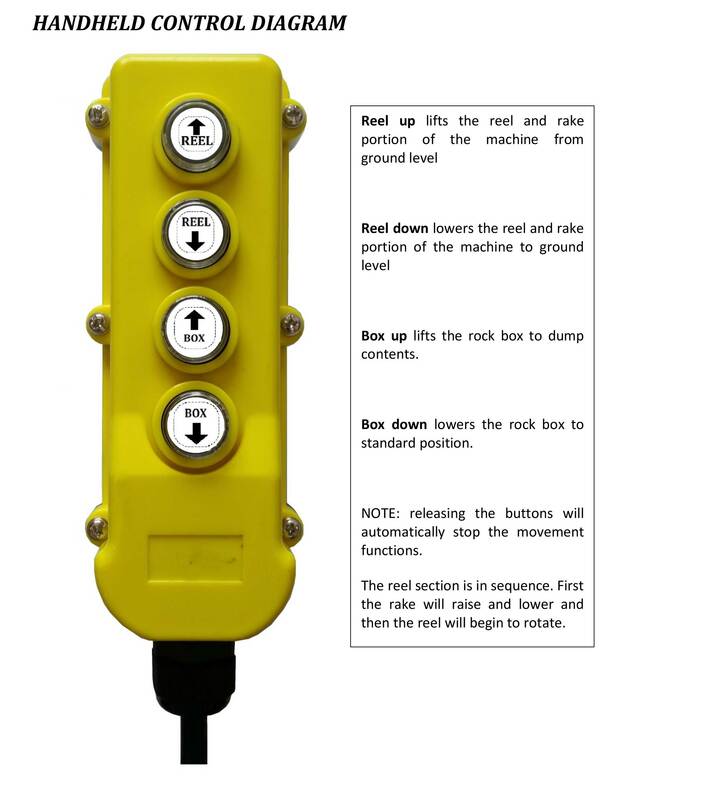 Reel is allowed to "Bounce" up/down to not allow a "wedged' Rock. 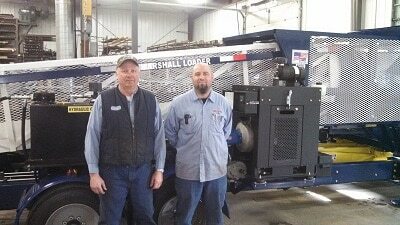 Empties the rock load with the push of a button. "It's the only time rock picking is fun. I follow behind the 24 row planter and pick the rocks, using the wheel tracks as a guide. The ATV and Picker does not disturb the seedbed. Last season I picked 1500 acres by myself." 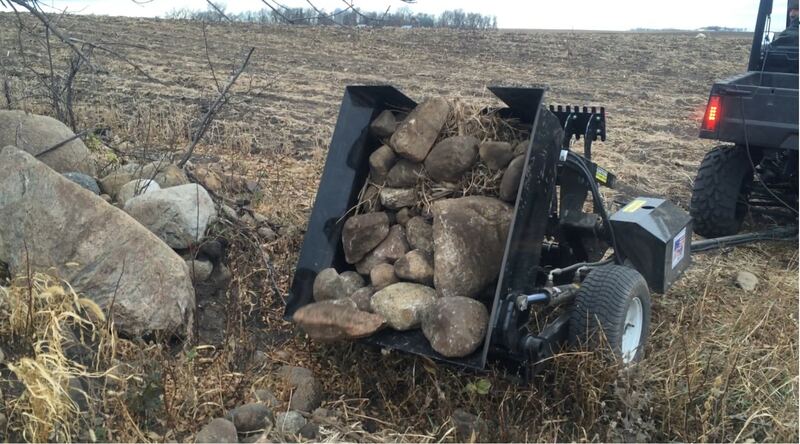 "I love my Marshall rock-picker – I am a farm wife and this machine has made the task of picking rock actually enjoyable. It is easy to pull with my 4 wheeler and by sitting closer to the ground than a tractor it is also easier to find the rocks. I used to have a large rock picker that was pulled behind the tractor and I found it to be too big and clumsy. 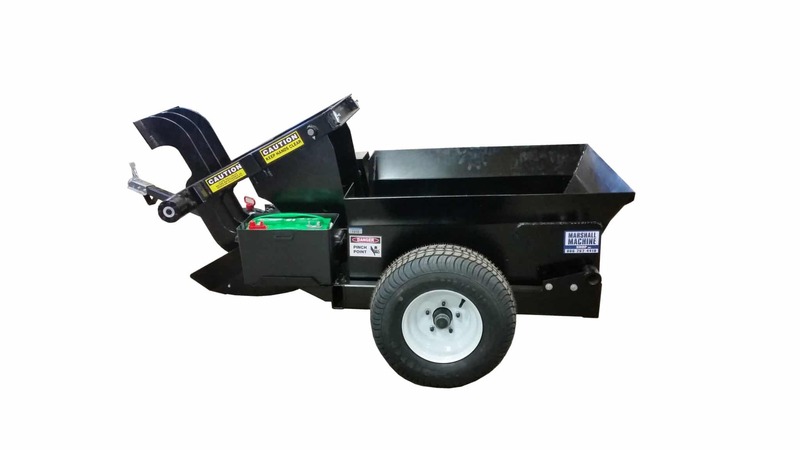 This side-car rock picker makes is easier to pull up alongside the rocks, pick them up and throw into the back wagon. Plus it is easy to back up to dump the rocks as well. 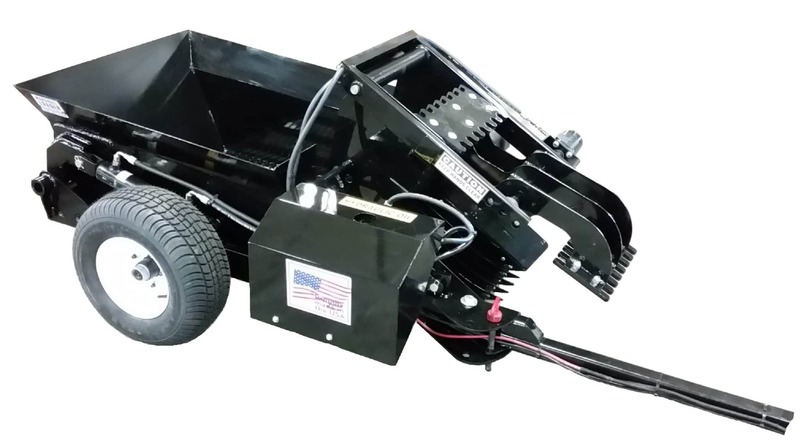 The push-button hydraulics are amazing and I rarely have to get off the 4 wheeler. 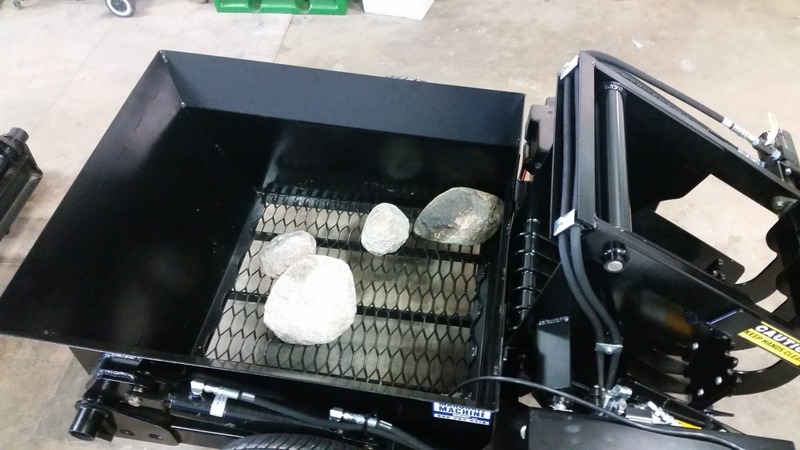 Although this picker is small in size, it does twice the work than what I could do with the larger rock picker. My husband jokes that it is the best piece of farm equipment he’s bought for me – and I agree!" Get started picking from your atv today!